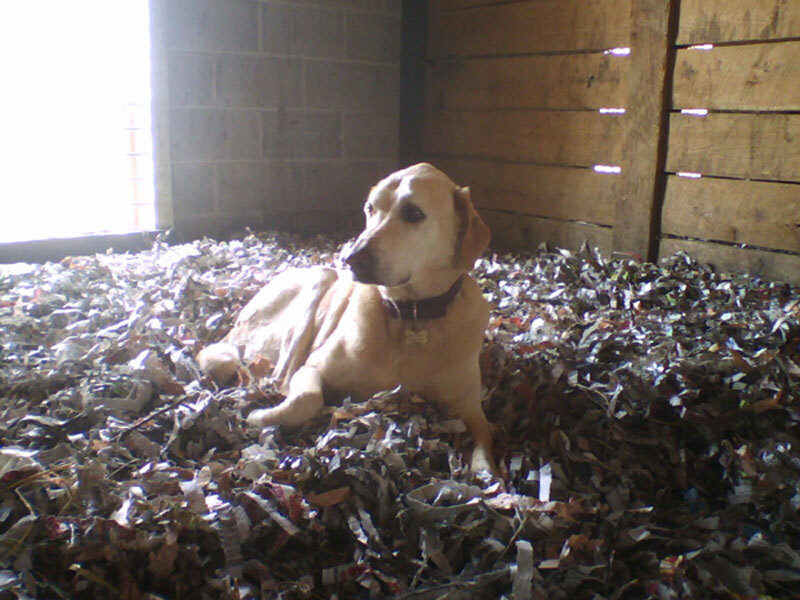 In January of 2006, Epoch Farm changed stall bedding material from kiln dried pine shavings to shredded newspaper. We aerobically compost the manure, turning it when the center of the pile reaches 140 degrees, this helps to speed the decomposition of the material. One of our biggest concerns was how quickly the newsprint would break down. We are finding the manure in our compost pile turns into a black humus like product in as little as 3 months!! One of the pleasantly surprising attributes of newspaper bedding is the PH level. Newspaper is soaked in lime during it’s manufacturing process and our PH tests of the aged, ready to spread manure are in the, 8.0 to 9.5 range. Consequently, the PH levels in our fields maintain optimum levels and we have not had to apply lime to them since 2005. The use of the paper does have a learning curve, it handles like straw and takes a little longer to spread out then shavings. However it keeps the horses much cleaner, ask anyone who has had to get wood shavings out of a horse’s tail, they would love this stuff!!! 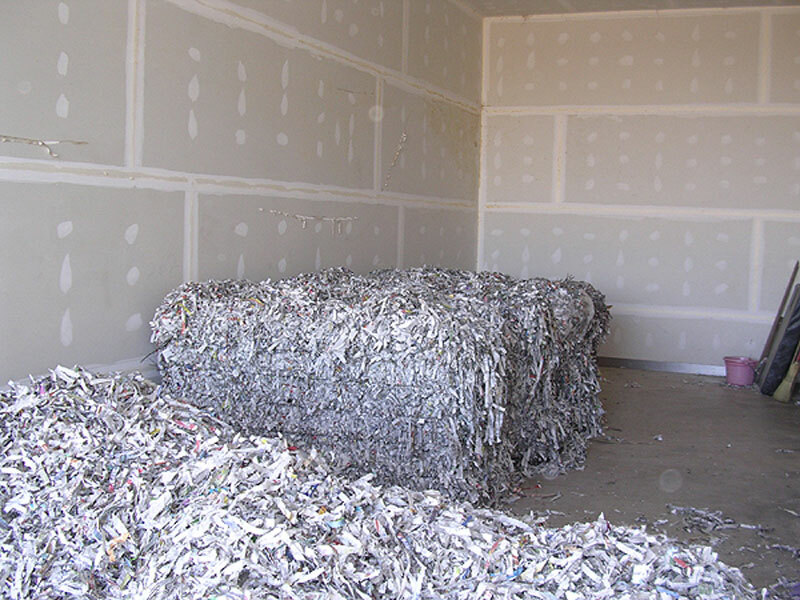 The shredded newsprint is supplied to us by VANGEL Paper. The paper is uncirculated editions and before being shredded and baled, Vangel carefully hand sorts it to insure anything that is not newsprint is removed. The dust levels in our training barn have dropped significantly and the clients and staff couldn’t be happier. But most of all, we now have a much healthier environment for the horses! !